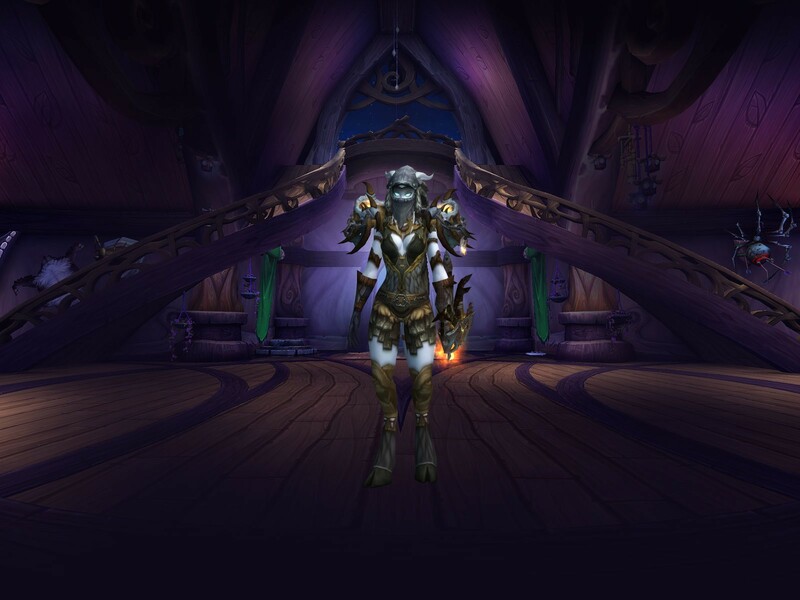 I've been leveling my draenei hunter in anticipation of 7.3 (goodness leveling through WoD feels so fast now), and have been working on transmogs for her. 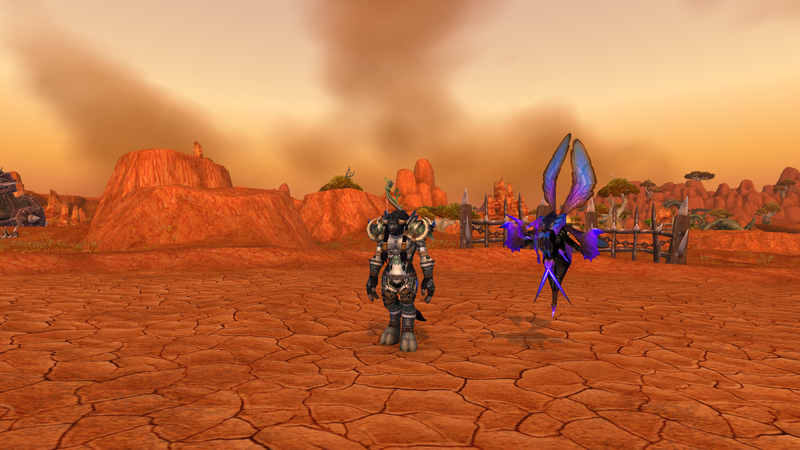 Some friends in my guild wanted to do a "scaled-down" transmog challenge. Basically create a simple-yet-effective transmog for your respective class. So this is one I came up with...thoughts? The set in itself seems pretty good, only the gun has to much "oomph" for my taste to fit in with a low-level set. All of my transmogs have gone that route, I never liked items that sparkled, smoked, steamed, burned or had any othe effect on them. 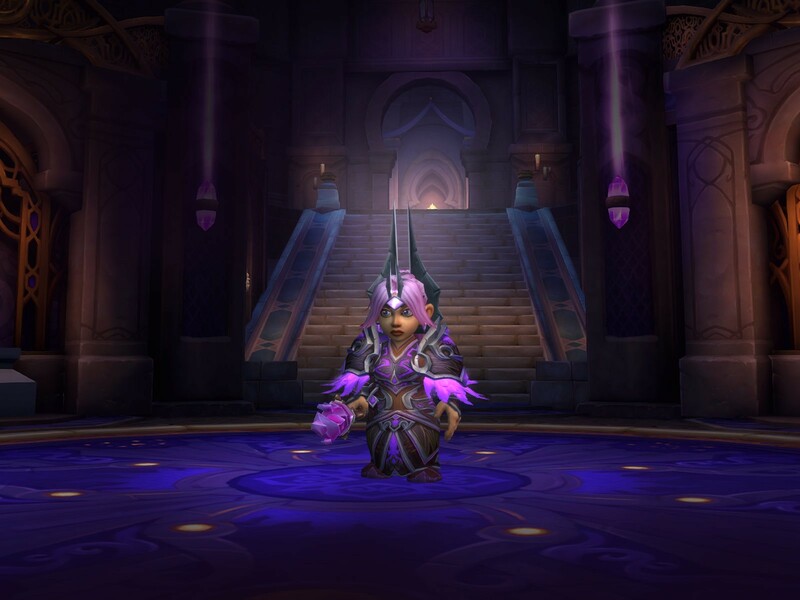 So I absolutely love transmogs with a rather realistic look. @Karathyriel - I like them all, but I especially like your tauren! Thanks, I was pretty proud if it, too. 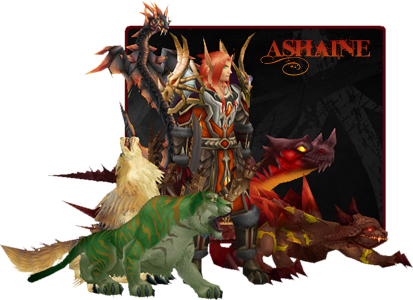 I used to plan all my mog sets in an add-on, before the new mog interface came to WoW. Here you can see the rest of all of my characters transmogs, only the Tauren Paladin didn't get his helmet as it didn't drop. Also note that both Dwarf and Tauren paladin wear the same set. It astonishes me, how different items can look on different models. The Troll Hunter was in a guild that said your main item color had to be green. And since he worships the Raptor-Loa (Yeah, I'm a role player! ), the helmet was a no-brainer. Your set seems to be nice but since you took the screenies in the dark, it's hard to tell as the colors don't come out right. Maybe take another one in the bright sunshine of Durotar? I really like your paladins! My pally had a similar set, but used also her argent tourny tabard + alaina's bonnet. Right now she just has random sh*t on though. I love coming here, I always walk away with so much inspiration. Amazing how a couple pieces can trigger all kinds of ideas. Yep, that's a bit better. I don't know if these shoulders also exist in brown color but the probably would fit a bit better than green. But it looks quite realistic and, more important, mostly made of leather, which fits the Tauren theme. Oh, by the way, the leathery outfit of my Blood Elf Hunter come from the (role playing) fact that he is a blood brother of the Tauren Warrior and lives with him in Mulgore with a Tauren tribe. Yep, those look like neon signs rather than practical armour, so it's just not to my taste. But that doesn't mean they're not cool and as long as you like 'em, the sets are awesome! I really like your paladins! 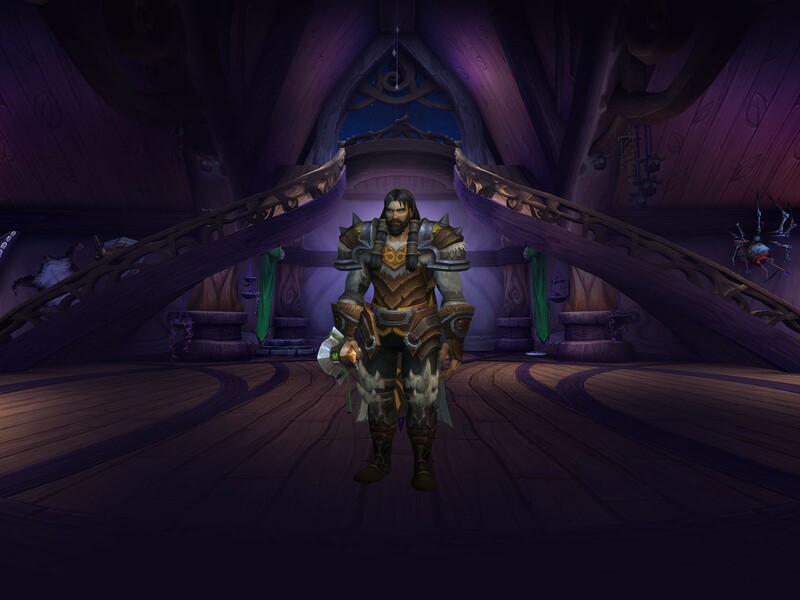 I thought the set was very fitting for the Tauren Paladin as it looks like a lot of leather rather than steel. And as much as I tried, I couldn't find anything better for the Dwarf, as he is supposed to be a Wildhammer. He actually was the most troublesome of all sets as I wanted to keep the 'leathery look' for he Tauren. But plate armor doesn't offer very much leathery looking items, so I think I made about 100 different sets before I finally settled in with this one. Please note: You can NEVER have to many Troll or Tauren Characters! 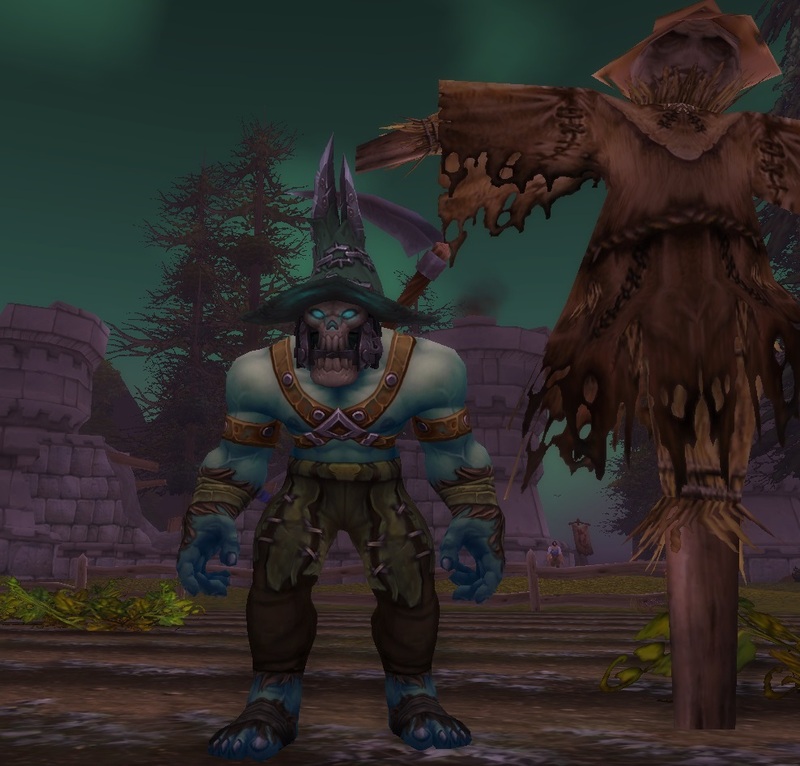 I just love to roleplay their cultures (To be honest, Trolls are a bit more fun!). And it gives you so many opportunities, like having a Warrior with a small, leathery shield and a spear, that looks so awesome on a charater that is being based of north american indian tribes. Sure, makes no sense in actual combat, but looks so cool! @ Quiv: I haven't played in quite a while now but since when can you put gray skin on a Orc? Is it a Death Knight? Other than that, it looks kinda creepy, which is good, as scarecrows should look exactly like that! 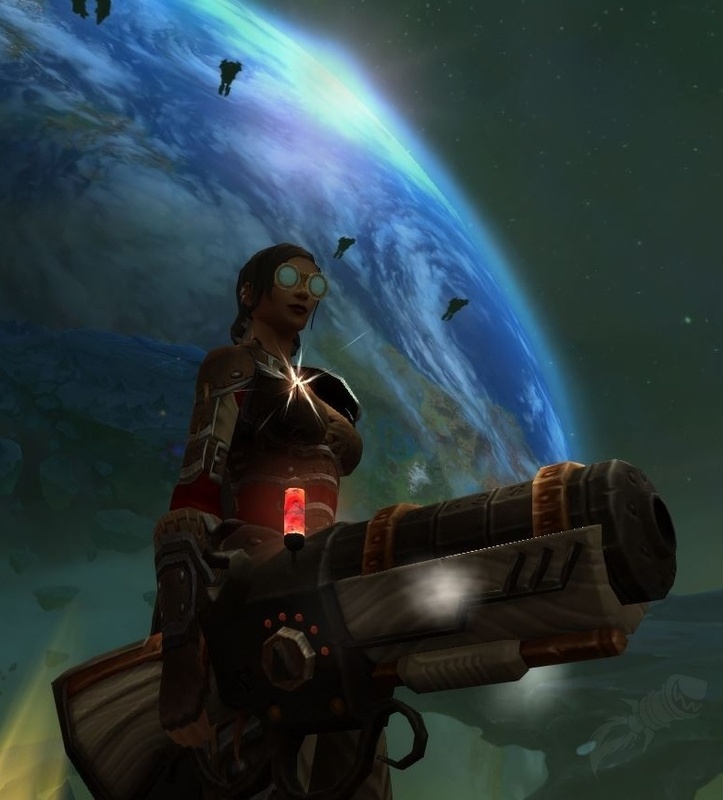 As for me, here's a profile SS of one my newest 110s, my little arcanist, Syra. Here's a update of that ToV/Broken Shore transmog I posted a while back. 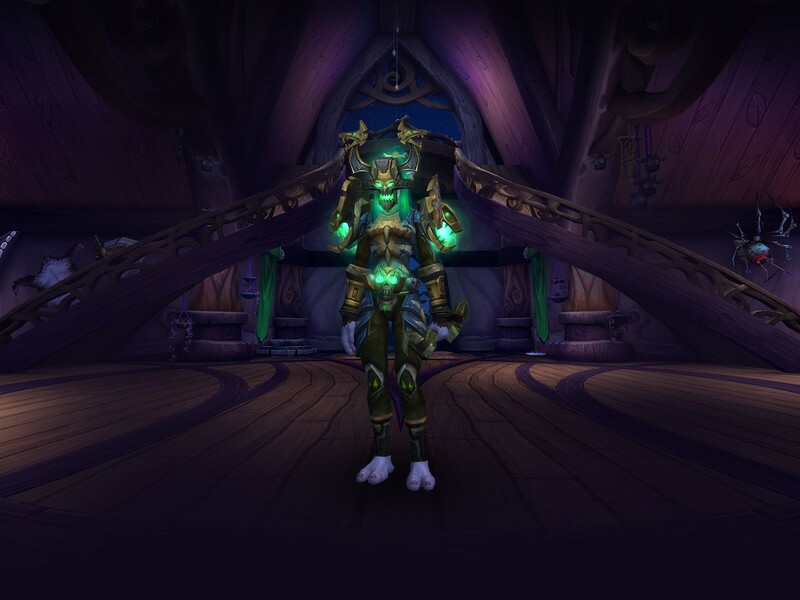 Finally got the shoulders I was looking for in a MoP raid, and switched the bow to one of the artifact skins. The yellow/orange glow from the helm gem, shoulders and bow really stand out...especially in darker areas in game. Thoughts? Thanks again to Quiv, for the inspiration on one of his transmog ideas that got me to come up with this. Being inspired by another transmog from I saw from a fellow transmoger, I came up with another "simple" transmog. I might tweek this mog a bit here and there, but right now I rather like this one... Thoughts? 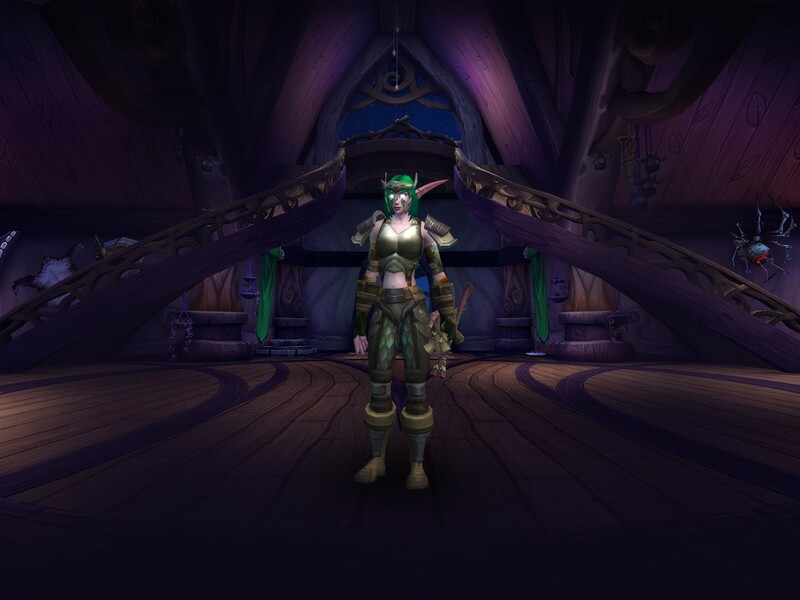 Kalasta: I really like the first transmog. Very unique and lovely! 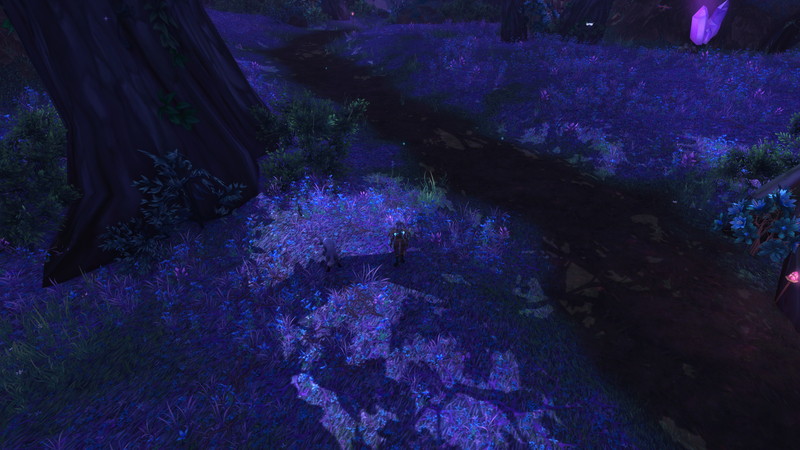 As for the second, it reminds me a bit of my own huntress, Tiefli, and I really like it! I'm just a bit unsure about the belt and cloak (the color is a bit off, but then again I'm just extremely picky about such things). The rest looks great though! Here's my newest hunter. His name is Torryn and I wanted to try for a very viking/barbarian look for him. 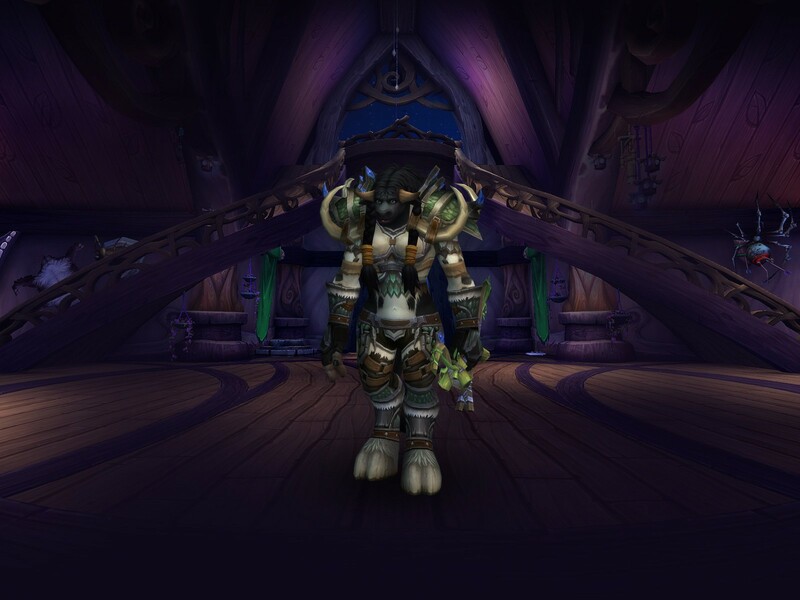 This is his leveling mog (he's only level 45 atm). So pardon the spear, I still haven't found one at his level that matches well and to be honest, I'm still a bit irked they changed the hunter armor to level 110 after this guy was made. At least I was able to mog his heirlooms before the change. Did a few minor changes...the belt, the shoulders and cloak...went for a more darker tones and more fur-like texture...since she is a hunter, and Skinner... LW too. BTW what bow is this with your hunter in this pic? Kalasta: The bow is Vishanka, Jaws of the Earth (Normal version I believe). Am happy about the headset, it's one who look better with horns, me think. 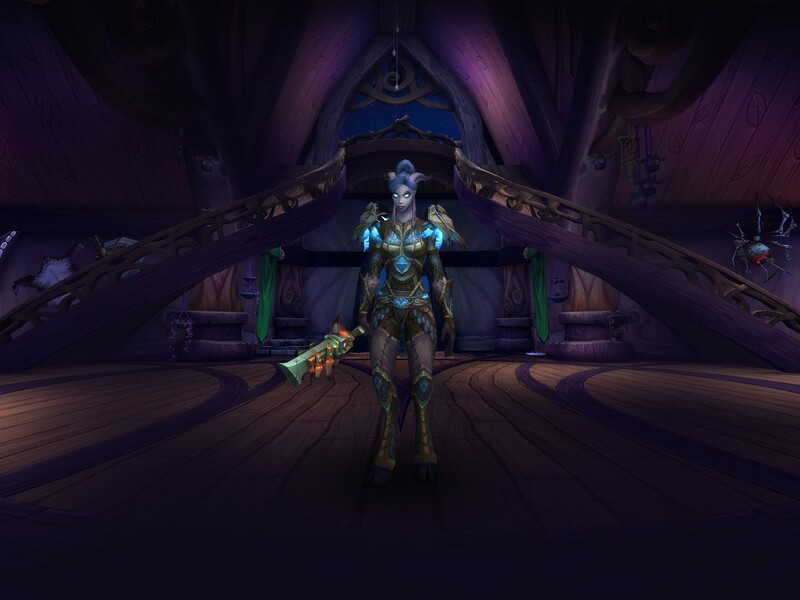 My nelf druids transmog Obviously for guardian and the claws match it too (not sure why they weren't showing when I took the screenshot). 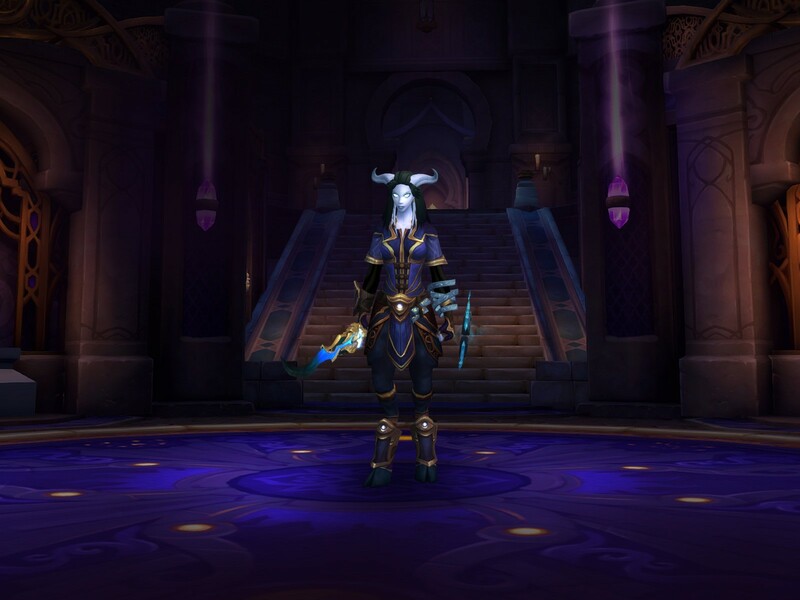 The only thing that bugs me is the nelf eyebrows sticking through the eye holes which I would be so so grateful if it were fixed if it's even possible I love having a bear transmog though and it's something I worked for, also there isn't really any other bear helm I'd be happy with so I can happily look past it I'm not sure of the items used but if anyone would like to know I can try and find out. Edit: Seriously I have no idea how to upload a picture like everyone else does, I'll just post the link. That's why I made a helping thread about forum functions. Check it out >>> right here <<<! Just a update on one of my older transmogs...the "Band of the Hawk" one specifically. Changed the boots, cloak, wrists, gloves and weapon to give a more well "seasoned-rugged hunter" look with fur enhancements here and there to show her LW and skinning skills. Overall, this one turned out pretty good. 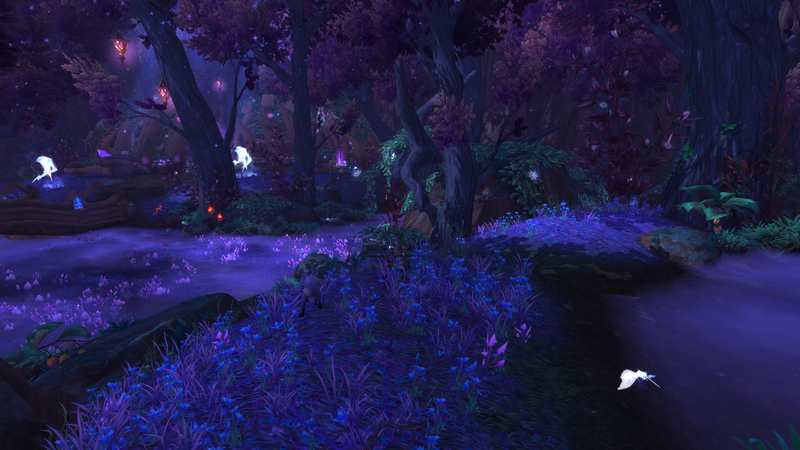 and has pieces of sets from Legion, WoD, and vanilla in one. Thoughts?